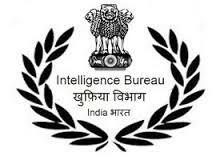 Sarkari Naukri, Results, Government Jobs, Employment News: Intelligence Bureau offers Junior Intelligence officer Technical job recruitment 2016. Rs. 50/- is to be charges by candidates which has to be deposited by cash deposit at any branch of State Bank of India using the Challan form by only male candidates belonging to General and OBC category. SC/ST and female candidates are not liable to pay any examination fee. Candidates has to apply Online at MHA website prior to 24/09/2016. Visit http://mha.nic.in/sites/upload_files/mha/files/IBOnileJrOfficer_020916.pdf and get all related information.